No, this is not a Syfy Channel Original Movie. I checked. Bloodrunners is one of those classic gangster vampire movies that you’re always seeing around. 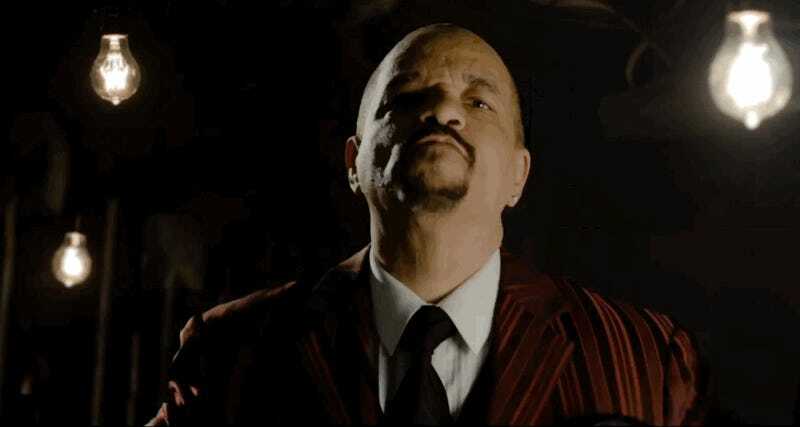 You know, the ones where a cop (in this case named Jack Malone, played by Michael McFadden) ends up in a speakeasy run by a vampire (Ice-T as Chesterfield) who wants to take over the town with his batty brethren. And then the cop, a busboy, and a preacher fight the vampires. Bloodrunners is supposed to be released in spring of 2017. Enjoy the trailer, via Entertainment Weekly, below.